Did you drink water, eat a piece of fruit, or take a deep breath today? You have forests to thank for all of those things. Forested watersheds and wetlands supply 75 percent of the world’s accessible fresh water for domestic, agricultural, industrial and ecological needs and act as natural filters for our air. 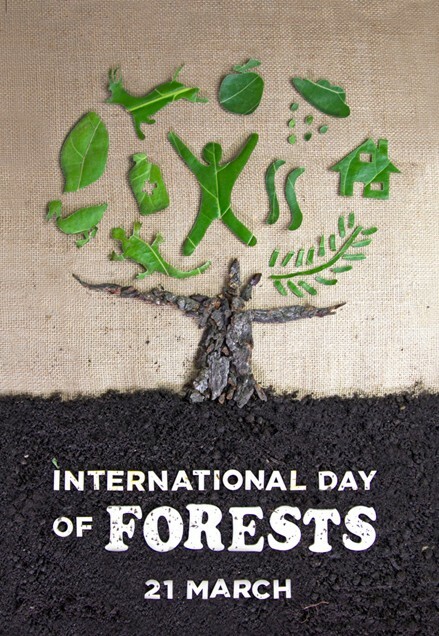 Forests and trees, celebrated on March 21, the International Day of Forests, are a cornerstone of addressing climate change and achieving sustainable development. Forests are some of the most vital storehouses of carbon on our planet. However, when forests are cleared to make way for agriculture or infrastructure, they emit large quantities of carbon dioxide and other greenhouse gases into the atmosphere, which contributes to climate change. At the same time, standing forests make a crucial contribution to addressing the impacts of climate change not only by absorbing greenhouse gases but also by building more resilient landscapes through water flow regulation, soil improvement and maintenance for agriculture, protection of coastal communities from extreme events and sea level rise, and migratory corridors for plant and animal species. Following the Paris Agreement at COP21, a number of countries have shown strong commitment in their climate action plans (known as NDCs, or Nationally Determined Contributions) on adaptation measures and to reducing greenhouse gas emissions from deforestation, forest degradation, land use change and agriculture. Together these sectors account for nearly a quarter of global emissions, but represent a much greater share of emissions in many developing countries. These national plans represent trillions of dollars of potential country demand for forest and climate-relevant investments. To meet the goal of limiting temperature increase to 1.5 degrees Celsius, these commitments will need to be translated into investments, including in resilient forest and landscape initiatives. Improving the management of forests provides opportunities for reducing current and future vulnerability to climate change, while advancing both mitigation and adaptation objectives. The official profile of IFSA. The International Forestry Students' Association is a non political, non religious and non for profit organization that brings forestry students from all over the world in a wide spectrum of activities.